On the third Monday of every month Dr Sue Pember, Holex director of policy and external relations, answers your questions, backed by the experience of almost a decade as principal of Canterbury College, in addition to time served in senior civil service posts at central government departments covering education and skills. I have been involved in recent board discussions about alternative models of governance for our college. Please can you tell me the benefits of Policy Governance (Carver Model) and what are its pitfalls? Is this model as hands-off as I have been led to believe? This model is an entirely different way of thinking about governance and approaching board work, which I think is widely misunderstood. 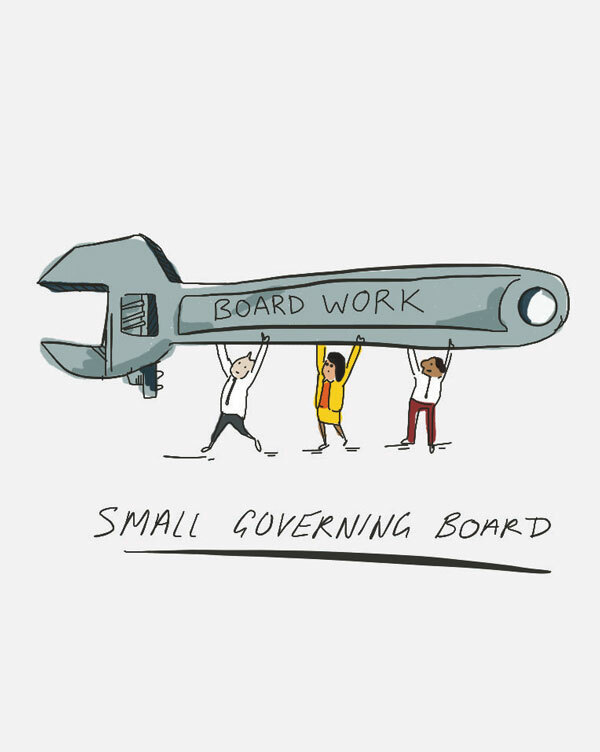 Many seem to have grasped the idea of having one small governing board with no sub-committees but have missed the fact that this concept is actually very hands-on. If done properly and effectively, the governing body has to spend lots of time in the set-up phase establishing and refocusing policies, systems, delegations and the level and type of accountability and reporting. When it works well, the governing body is very clear about which decisions it will make and which decisions others will make. It can be a much more satisfying experience for both governors and the senior leadership team as it provides clarity of role and responsibility. The data doesn’t yet show whether boards that have moved to this model are any more effective than those using the more traditional models. In fact, there are instances where colleges developing this model, when they came up against a particularly difficult problem, have found they have not had the expertise and knowledge on the governing body to resolve it and had to resort to quickly setting up a sub-committee to drill down into the institution and ascertain the extent of problem, work out a solution, and make appropriate recommendations to the board. However, it is likely that these instances have arisen from a rushed set up and these colleges probably did not spend enough time determining the required and rigorous monitoring systems that must be in place to support the board. My college is involved in an area review and from what I have seen I wonder if these reviews are really about the future or just retrofitting the past? The worst possible scenario is that we go through this whole exercise giving up thousands of hours and we just end up with one or two fewer colleges. Do you know why we are spending such a disproportionate amount of time looking at retrospective data which doesn’t even cover school sixth forms? The rationale for looking at past data is so that the pattern of offer can be established and the travel to education routes detailed. The guidance does say that all data will be reviewed so, even if schools are not formally in the review meetings, their data will be evaluated and considered when determining the needs and requirements of an area. On creating the space for considering new ways of delivery, I see this to be crucial to the exercise. One of the roles governors can play is to try to make sure that time is put aside to look at future needs. Delivery is changing not just through IT but also through the change of employment patterns. The new agenda will need to evaluate new skills requirements caused by adults working longer and the resulting requirement that we need an infrastructure that can support career change plus adult well-being through education. Also, the new funding systems will change student and employer behaviour, so it is important that all those issues are discussed and analysed. We’re thinking of refreshing our college board membership and moving to a more streamlined form of governance as we are aware the current make-up doesn’t mirror our community, but we have put the exercise on hold until after the area review. Do you think this was the right decision? I can understand the logic of putting this exercise on hold but one of the solutions that may stem from your area review is an option for you to merge. If that is the case, it would be very useful to have some early insight into the type of governance appropriate for the new college. I am aware that several of the mergers being considered at the moment are going to be steered by representation from their existing governing bodies. That approach may offer some reassurance that the interests of each of the colleges are going to be met. However, it could do the reverse and slow down the assimilation into a new institution, with a new ethos and new behaviours. Having ideas on the new governance structure and how you are going to recruit new members already worked out, together with benefits recorded and risks mitigated, could be a useful and vital addition to ensuring success of the new college. So it might be worth setting up a sub-committee to look at new models and, when the time is right, expand membership to embrace members from the other colleges that may merge with you.